Isn't this an adorable cake? And let me tell you, it's YUMMY too - chocolate with cherry filling - really yummy! Nicole brought it to me yesterday when she came up for lunch - which was also great! She brought her youngest, Matthew, and let me tell you, he's ADORABLE!! I really enjoyed it, though she didn't get to stay long enough. Oh well, there is always next time! :-) Thanks again Nicole, for EVERYTHING! Ray cooked breakfast this a.m. & it was great (he's such a sweetheart!) and I have no plans for the day other than to hopefully stitch & go visit my parents later this afternoon I think - unless my mom shows up here first - you never know with her. :-) My sister & niece came to see me yesterday afternoon, which was nice. I live less than a mile (maybe 1/2 mile) from them & don't get to see them nearly as often as I'd like. Sad isn't it? And to celebrate my birthday - I am going to do a giveaway! What is it? Well, it's a SURPRISE - you aren't supposed to know what your gift is before you open it are you? ;-) If you'd like to have a chance, just leave your name & email and I'll draw a name in the a.m. Thanks for stopping by & Happy Stitching!! I saw on Nicole's Blog that she had brought you a cake...it is gorgeous!! Thank you for the opportunity for the giveaway!! Happy Birthday Amy , that cake looks so yummy. Enjoy!!! Ooooh....that cake does look good! I love Publix cakes...they are the best and will have to try the Cherry filling. Enjoy your day! Who doens't love a giveaway! Happy Birthday Amy! Hope you have a wonderful one! And I love that cake - very pretty and looks very yummy!! Happy Happy Birthday! You are so nice to give a gift on your special day. May your birthday make you feel as beautiful and special as you are. Happy Birthday! Have a wonderful birthday Amy!!! That cake looks and sounds delicious! HAPPY, HAPPY BIRTHDAY Amy!! !Have a great day! Happy birthday to you, Amy! I'm a lurker here, but I always enjoy your blog! Happy Birthday Amy!! That cake looks sooooooooo good!!! Lovely cake! I hope you have a terrific day! Happy Birthday Amy! Glad it's been a good day. I would love to be a part of your drawing. Thank you so much! Enjoy that cake! Yum!! Happy Birthday Amy!! Hope you enjoy the cake!! Well, a big happy birthday shout out to you. I'd love a surprise from you. YUM! That cake looks and sounds delicious!! Happy birthday to you! What a fun idea to have a "surprise" give away! Thanks! Happy Birthday Amy, and wish you all the best! Happy birthday Amy,,,hope your day is wonderful...yes please enter my into the surprise drawing...thanks.. Happy birthday, Amy!! That cake looks delicious!!!! I would love to join the party~~ Thank you for the surprise giveaway!! Happy birthday Amy! Hope you continue to enjoy your special day. That cake looks yummy! Please add my name to your drawing...thanks! Happy Birthday Amy!! I'm glad you had a wonderful couple of days! I truly hope your having a wonderful wonderful day!!! Happy birthday, Amy! Celebrating with stitching sounds perfect to me! Enjoy your day. Happy Birthday Amy! hope you had a great day! Please enter me...that cake looks sooo yummy!! Happy Birthday Amy! Wishing you many more. Thankls for the chance at the giveaway. HAPPY BIRTHDAY, Amy! Wishing you all the best! Hope you have a wonderful day filled with everything you love. Happy Birthday Amy! Wishing you many blessings! Happy Birthday Amy & that cake looks yummy! It was fun talking to you & I hope you have a great day. Happy Birthday to you, Happy Birthday to you! I hope you had a great one! I can't wait to meet you later this month. Glad you are having a fun day. I hope you had a great day with lots of love. Your cake was awesome too. Thanks for offering us a gift. Happy Birthday Amy!! Your cake is awesome. I hope that you had a great day. Happy Birthday Amy! I hope it's a wonderful one. That cake looks yummy!! Happy Happy Birthday Amy!! And so generously having a giveaway too! I would love to be entered! 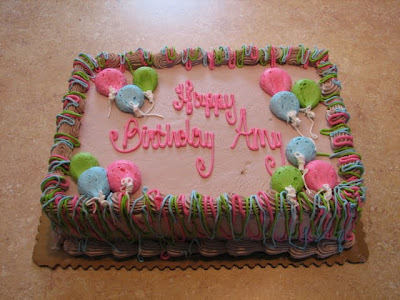 Yes, Amy the cake does look adorable and yummy. Glad you are having a wonderful Birthday. Giveaways are so fun!! count me in. A very Happy Birthday to you, Amy. I hope the day was filled with blessings for you to enjoy. Filled with love, joy, and peace. I do believe you enjoyed the cake. It looks so delicious. My mouth has been watering for a bite ever since I saw the photo. Thank you for a give-away, I hope it includes on of those very cute pin cushions. Happy Birthday, Amy! That cake sure looks yummy! Would like to be included in your giveaway, thanks. Gosh that cake looks and sounds so yummy!!!! Happy Birthday my friend. I hope every day from now until your next one is filled with good things, love, and laughter and maybe just a little stitching!! LOL!! The day is almost over but I still wanted to wish you a Happy Birthday! May the year continue to be one big celebration! I deleted my first comment because I should not type in the dark and without my glasses.LOL I want to wish you a very happy birthday. Thank you for the chance to win a surprise giveaway. Happy, happy birthday Amy. That sure is a lovely cake. I can imagine it tastes just as good as it looks. Have a great day and thanks for offering a giveaway. That's so sweet. Happy Birthday Amy! What a gorgeous cake! I just had a birthday too (Wednesday). Would love to enter your giveaway. Happy Birthday Amy! Beautiful Cake, please add me to your giveaway! Happy Birthday Amy! What a yummy-looking cake Bicole brought you. Waaaa, I want a piece! Enjoy your special day. How sweet of you to have a giveaway on your birthday. wow..a great cake? Will there be a peice in your giveaway lol??? I hope you had a lovely day and I would love to join in with your giveaway! Happy Birthday Amy! That cake looks delicious! I hope your day is a wonderful one.